Your skin is as unique to you as your fingerprints. What works well for your friend or even your sister may not work for you and vice versa. 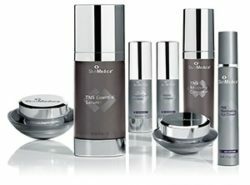 Annapolis Plastic Surgery proudly carries skin care products from some of the world’s leading aesthetic brands. Our medical aesthetician can help you find a customized skin care program that targets your specific needs and goals. Needle Free Serum is clinically proven to deliver equivalent results to one injection of collagen filler in just two weeks of regular use. Upon aging, cells are no longer able to produce collagens and elastin effectively. By providing a new source of bio-energy, this production is reactivated. A unique combination formula of Retinoic Acid, Hydroquinone and Hydrocortisone decreases the overproduction of melanin while diminishing fine lines, wrinkles and uneven skin tone. 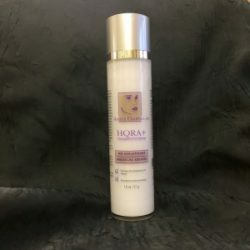 HQRA+ penetrates deep at the cellular level, boosting and synthesizing collagen production, stimulating cell renewal for a youthful and luminous complexion. An advanced multi-active formula designed for rapid and significant improvement in the appearance of hands and arms. 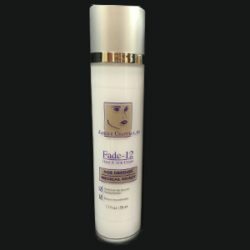 Fade-12 features our new EpHQuinone™ Technology, an innovative whitening complex, combined with alpha hydroxy acids and botanical extracts to maximize penetration and stimulate cell turnover. EpHQuinone™ interrupts the melanogenesis pathway at multiple points, resulting in rapid and effective improvement in age spots and other excess pigmentation. Utilizing a Trans-Epidermal Carrier System, Fade-12 penetrates skin and stimulates cell turnover, resulting in hands that look years younger within weeks of use. Clinically effective AHA and Retinoid treatments can sometimes cause sensitivity and irritation. High active ingredients give great results, but need to be supplemented with formulas designed to soothe, calm and repair the skin. Intensive Recovery Cream works synergistically with all of our best treatments to do precisely that. Specially formulated with cactus and yeast extracts with special low molecular weight peptides to significantly reduce irritation caused by AHA’s and Retinoids. This formula works by down regulates the most important signaling molecules enzymes in inflammation including: COX2, IL-1α and IL8. This down regulation soothes the skin, removes irritation and reduces redness. Intensive Recovery Cream is further enhanced with a concentrated coconut extract rich in Medium Chain Triglycerides (MCTs) to restore skin barrier function, which helps the skin maintain its natural structure. 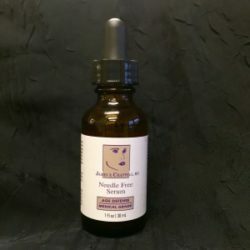 Maintaining this structure decreases water loss and increases natural moisturizing factors, which hydrates and protects the skin and significantly aids the skin in recovering after exposure to stress. We love Obagi! No matter your age or skin type, there’s an Obagi for everyone. But your skin care routine, like your skin itself, is yours alone. You can only guarantee the quality of Obagi products by purchasing them through an authorized provider like Annapolis Plastic Surgery. 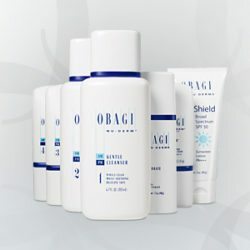 Obagi is perfect for aging skin, hyperpigmentation problems and serious acne, these products are truly transformative. Obagi Medical Products enhance the results of facial surgical procedures, maintain the benefits of laser treatments and simply reverse and slow down the aging process. For over 25 years, Revision Skincare has provided physicians with clinically proven, high-performing skincare products. Using only the purest, most efficacious ingredients, the Revision Skincare collection was formulated to provide targeted solutions for enhancing skin’s appearance and reducing signs of aging. Revision Skincare products represent the furthest advancements in scientific skincare. Their formulations are rooted in rigorous research and testing, and manufactured by us using the highest ethical standards. Revision Skincare products are never tested on animals. Revision Skincare’s Nectifirm won the prestigious NewBeauty Beauty Choice Award. The product was named, “The Number One Neck Product You Need” by editors, readers, board members and some of the most esteemed individuals in the beauty industry. Latisse is the first and only FDA-approved prescription treatment for hypotrichosis (inadequate eyelashes). When applied daily, Latisse helps men and women grow new, longer, thicker and darker eyelashes. The product is safe and effective and only available through a prescription. You can expect to see the results of Latisse gradually in as little as a month. Full growth is typically achieved in 16 weeks. The active ingredient is bimatoprost, which is believed to activate the anagen (growth phase) of the eyelash hair cycle, increasing the length of the phase as well as the number of hairs grown during the phase. EltaMD sun care and skin care products are formulated for every skin type, lifestyle and special need. Since 1988, EltaMD has been formulating wound healing serums, sunscreens and skin care products. These products are widely used and recommended by physicians, dermatologists and other medical professionals in hospitals, burn centers, rehabilitation clinics, and long-term and short-term care centers. 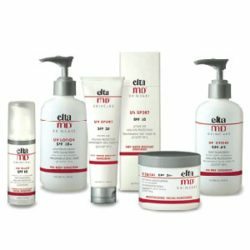 The EltaMD medical grade skin care products are only available through authorized skin care providers to help men and women restore, protect and maintain healthy skin. 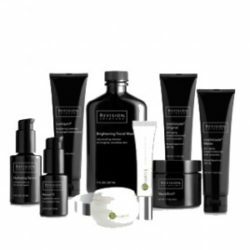 We are so excited to offer SkinMedica products and to teach everyone about the science behind why SkinMedica offers the very best Growth Factor product line. You can grow 60% more of your own collagen in just 6 months! How are professional skin care products different from over-the-counter regimens? Our medical-grade skin care products contain prescription strength ingredients that only physicians can dispense. In addition, professional skin care products are rigorously tested and clinically proven to reduce wrinkles, increase skin laxity, reduce acne, improve skin pigment and more. Are professional skin care products more expensive? It’s a common misconception that medical-grade skin care products are more expensive than what you can buy over-the-counter. In fact, the price point of professional products is typically no more than you’d pay at your favorite cosmetic store. What’s more – physician-dispensed skin care products actually make a change in your skin for better results, meaning your investment goes farther than with typical drugstore skin care products. Yes! We offer free skincare consultations with a licensed medical aesthetician. Call 888.283.4768 or request a consultation online.